Looks like the hype was real. 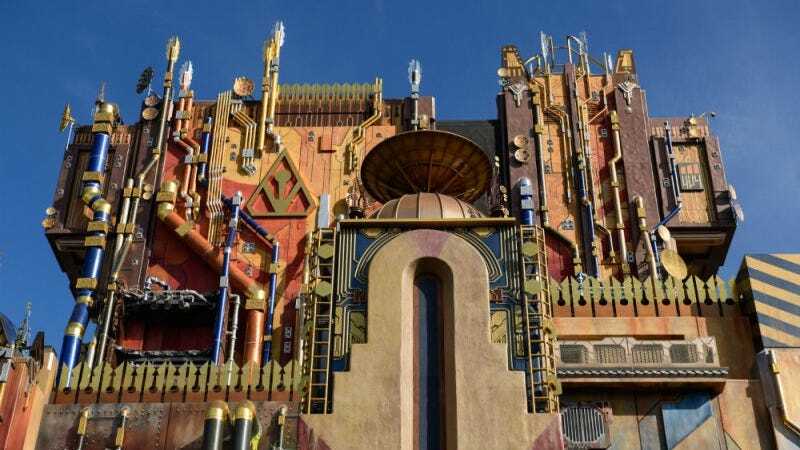 Disney’s ride for Marvel’s Guardians of the Galaxy—Mission: Breakout! opened at Disney’s California Adventure on Saturday... and the effects could literally be felt everywhere in the park. As The Hollywood Reporter points out, park attendees shared photos of the perfectly organized nightmare that was waiting in line for the new Guardians of the Galaxy ride. Lines snaked through the entire park, virtually guaranteeing that if you were cool with waiting a few months to try out the ride, the rest of the park would be virtually empty. The line for Mission: Breakout! fast passes was averaging out about five hours during peak times, while anyone trying their luck in the general queue was reportedly waiting up to seven hours. You heard that right. Seven. Hours. The Pandora section of Disney’s Animal Kingdom also opened in Florida over the weekend. It took fans about two hours just to get into the Pandora park, and ride lines were averaging about three to four hours for rides. Hell, some people reporting three-hour lines to get into the damn gift shops. Insane amount of standing and slowly walking aside, fans seemed happy with both Mission: Breakout! and Pandora. As fans (rightfully) pointed out, though— if these were the wait times for one ride for Marvel and a theme park for a long-forgotten film... imagine what the lines for Disneyland’s Star Wars park will be like.